Having troubles falling asleep at night? 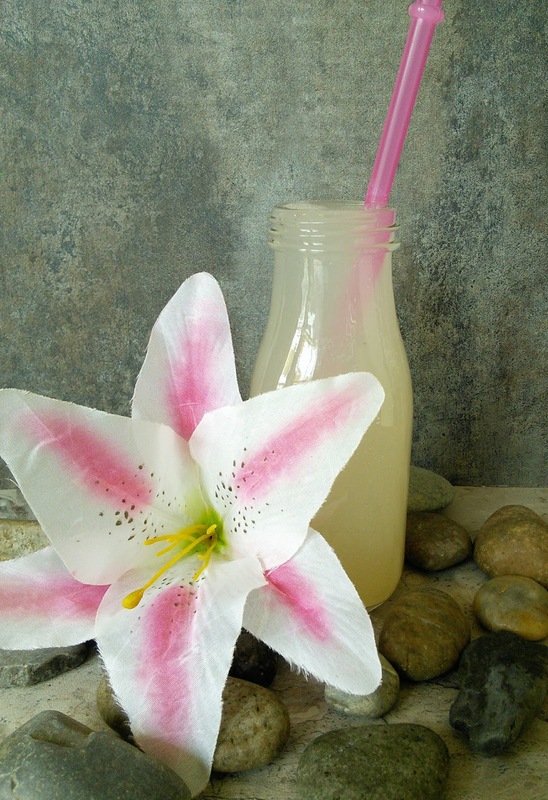 This delicious drink may be all you need for sweet dreams. Lately, I have had troubles falling asleep at night. I do all the things that I can think of to relax several hours before bed. Things like take a warm bath, eat a high carb/protein snack, dim the lights, and spray lavender. None of these things seem to help. I get into bed and it seems like I am awake for hours before I fall asleep. The next morning when my alarm rings, I just want to stay in bed. Some nights I think to myself, why do I bother going to bed? It has been very frustrating to not be able to get a good night's sleep. Most days it seems like my brain is in la la land. I finally found the solution to my sleep problems! It is a delicious raspberry lemon fizzy drink! Garden of Life, a company that makes wonderful supplements from whole food, sent me their newest product and I am so glad they did. 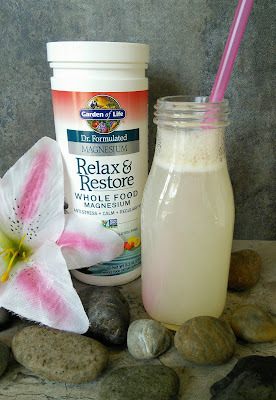 Their Relax & Restore Whole Food Magnesium fizzy drink is made from whole food magnesium and has done wonders for my sleep. I already knew that magnesium was great for my boy's leg cramps (growing pains) but I now learned how awesome it is to help me calm and relax so I can get a better night's sleep. Did you know that low magnesium levels are correlated with so many health-related issues? Me neither. Signs of magnesium deficiency involve all the body's major systems and include Irritability, Anxiety, Lethargy, Fatigue, Memory problems, Anorexia, Loss of Appetite, Seizures, Muscle Weakness, Muscle cramps, Tremors, Vertigo, Difficulty swallowing, and Irregular or rapid heartbeat. Wow, to think that a mineral could help with all of that and help me sleep better! I have a container of Garden Of Life Relax & Restore Whole Food Magnesium to giveaway to one of my readers, in your choice of flavor. So if you want to experience a good night sleep, then enter below. Good Luck! I would like to try their Vitamin Code® Grow Bone System. Sounds like a great calcium supplement - well more than just calcium. I would also enjoy trying the Garden of Life MyKind Women Multivitamin as it's made with whole fruits and vegetables and is organic too! I would be thrilled to try this Rest & Restore product but another one on my list to try is their Primal Defense Probiotics. I switch off on different brands and this looks like it has everythng I'm looking for. The Vitamin Code Raw D would be nice to try to add to my supplements. The RAW Fit® High Protein for Weight Loss is something I would love to try. I would like to try (and need) Dr. Formulations Daily Probiotic for women. I'd like to try their Raw Organic Protein. I'd try the protein or the probiotics. I would also like to try their greens like the Perfect Food Raw Energizer for breakfast! I'd love to try their coconut oil! i want to try the womens daily propbiotic! I would like to try the mykind Organics Vegan D3 Organic Spray. I am in tears. I can relate so much to what you go through. I can't focus while at work and it affects my mood. I just want sleep. So. Bad. I just have problems with digestion and worry that maybe I'll have to remove my gallbladder. I would love to try the MyKind Organic multivitamin. I would love to try the Raw Probiotics for women! I would like to try the mykind Organics Women’s Multi 40+. I would feel good about taking this product compared to some other brands! I would love to try the Organic Whole Food Antioxidant Bar. I would like to try the RM-10 Immune System Support from Garden of Life. I've had the same problems with sleep. I think to myself, if only I'd known I wasn't going to sleep for all these hours I would have just got up and got some work done instead! It's so frustrating. I tried magnesium in the past but I don't think my body absorbed it very well. This sounds like a more natural way of getting magnesium. I wonder if the probiotics help to absorb the magnesium better too. Sounds good, I must try it. This is a great article. I am across this article while looking for things to help me get a good nights rest and saw this. I'm excited to try this drink. Thanks for the post!